The fact Michelle Pfeiffer is starring in Ant-Man and the Wasp is even cooler because it’s her return to comic book movies. 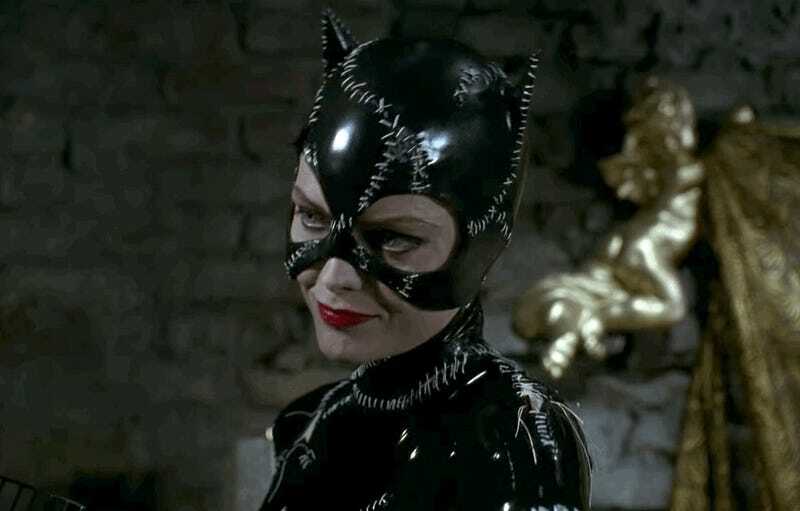 Of course, she legendarily played Catwoman in Tim Burton’s Batman Returns. We all remember it and that includes Pfeiffer. Though, for her, one moment sticks out. It’s the moment when she’s conspiring with The Penguin (played by Danny DeVito) and puts his bird in her mouth. On set, it was a real bird and she actually put it in her mouth. Um, yeah. Watch the scene here. She keeps it in there for a long time! Definitely head over to Variety to read the rest of the profile, where Pfeiffer talks about her absence from the big screen, why she came back for Ant-Man and the Wasp, and her difficulty in reading comic books. Actually, we’ve gotta let you read that quote now. Ant-Man and the Wasp is scheduled for release July 6, 2018.